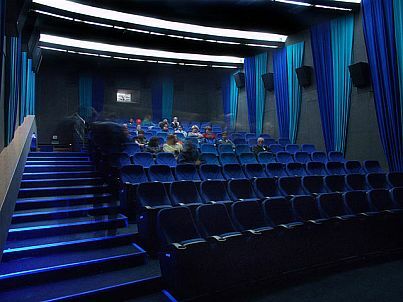 Nowadays nearly ten major Russian cinema network operators build production and exhibition alliance: such as Caro, Luxor, 20th Century Fox CIS/Gemini, Central Partnership, Cinema Park, Paradise, Pyramid etc. They seal the deal with their partner producers who are ready to shoot films quickly, as long as non-stop financing is guaranteed and exhibitors smile invitingly, which means: “Welcome to our screens”. Hollywood starts shooting Russian films in Russian or in English with excellent Russian or European professionals for local and international markets. It is less expensive than in the US or Western Europe. Besides the domestic market is able to provide good box-office revenues if the film is successful. KARO Holding is a major cinema network operator in Russia, which owns 28 movie houses and multiplexes with 134 screens in Moscow, St. Petersburg and regions of Russia. Besides distribution companies Karo Premier and Karo Prokat, it has a network of movie houses Karo Film and a full-cycle advertising agency Kino Media. Recently KARO has set up its production company. Headed by Yuri Obukhov, ex-deputy director of Gorky Film Studios, it will hire producers and finance film production for Karo. The first project is a mystical drama Devil’s Flower directed by Ekaterina Grokhovskaya (Irrevocable Man, Duet) shot by ZG Film with Каrо Production. The premiere is scheduled for March 2008. Three more films will be launched soon. The total production budget is $12 mln. Luxor is an operator with 10 year experience at the Russian film market and seven movie houses with 27 screens in Moscow and its suburbs. Recently two Luxor’s founders Igor Dobrovolsky (on the photo) and Evgeny Lensky sealed the deal with film director Dmitry Astrakhan to finance their new production company Art Cinema Line. The first feature to start with is A Night Commodity Spark., If all goes well, they plan to release 2-3 films a year. Dmitry Astrakhan is well-known in Russia for shooting a middle-budget film or a TV series non-stop each year for the last 18 years.